Which hotels are closest to the Renmark airport? 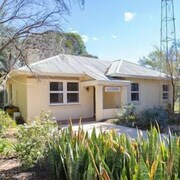 Where to stay near top Renmark attractions? What kind of hotels are in Renmark? 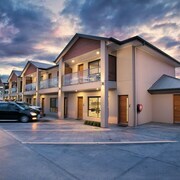 Which hotel chains are in Renmark? Visitors to Renmark are sure to enjoy the riverfront. 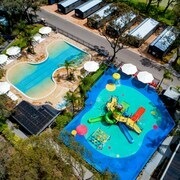 Tourists can also enjoy the city's parks, water parks, and spas. 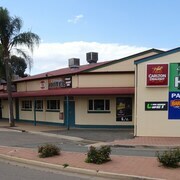 In Renmark, there are 9 hotels and other accommodations to choose from. The city's natural setting is picturesque, including the riverfront and Jarret Memorial Gardens. 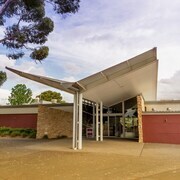 A couple of additional sights to add to your agenda are Renmark Visitor Information Centre and Chaffey Theatre. 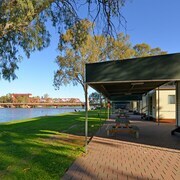 BIG4 Renmark Riverfront Holiday Park - This 4-star campground features a water park, an outdoor pool, and free WiFi. It's a favorite with Expedia travelers for its pool and helpful staff. 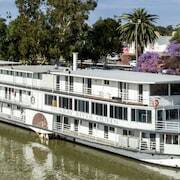 Murray River Queen - Our customers like the dining options and bar at this hotel. This 3.5-star hotel features a restaurant, free WiFi, and 2 bars. 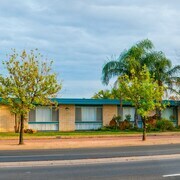 Renmark Hotel Motel - With a stay at this 3.5-star hotel, guests can enjoy access to a restaurant and an outdoor pool, along with free WiFi. 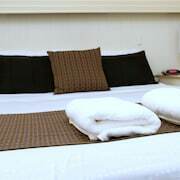 Expedia customers like its dining options and clean, comfortable rooms. Not far from the border of New South Wales, in the southeastern region of South Australia, sits the Riverland town of Renmark. 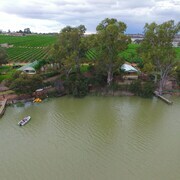 Roughly 250 km northeast of Adelaide, Renmark is right along River Murray and marks the last major stopping point for travellers heading deeper into the south. In addition to the many river activities here, a variety of cultures that have left their mark on the town attract visitors from far and wide. 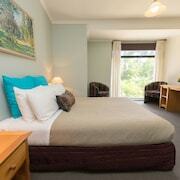 You can discover what all the fuss is about by booking a stay at one of the hotels in Renmark. An array of Renmark motels, hotels, and resorts are scattered around the Riverland, one of which will certainly satisfy your particular set of tastes. There are caravan parks, houseboat stays, motor inns, and even golf resorts to choose from. With so many options, it’s no wonder this destination is so desirable. Depending upon how far away you’re travelling from, there are a number of different ways to get to Renmark. At about 260 km from town, Adelaide Airport is the nearest major facility for air transport. From there, travellers can take a train to Gawler and catch a coach the rest of the way, or they can board a Renmark-bound Greyhound or Premier Stateliner bus right from Adelaide. Car hires are also available from the airport for those wanting to travel through the region on their own terms. Don’t wait another moment to start planning your holiday in Renmark. 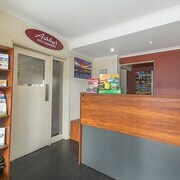 Expedia.com.au takes all the hassle out of booking travel and makes it easy for users to find the web’s best deals on Renmark hotels. And for those wanting to experience a more metropolitan side of SA, we have deals on Adelaide flights and Berri hotels as well. 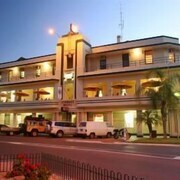 What are the most popular hotels in Renmark? 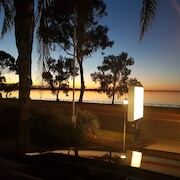 Are there hotels in cities near Renmark? 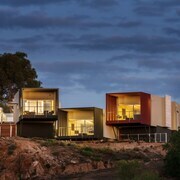 Explore Renmark with Expedia.com.au’s Travel Guides to find the best flights, cars, holiday packages and more!